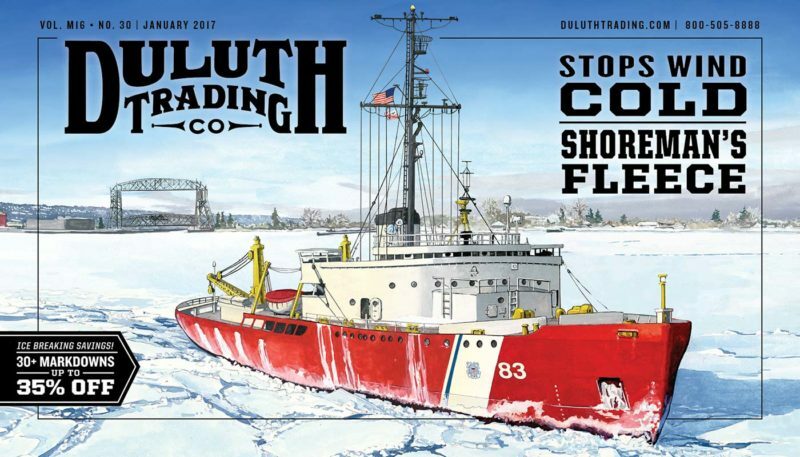 This is the January, 2017 Duluth Trading Company cover: the U.S.C.G. Icebreaker Mackinaw hard at work cutting ice in the Duluth Harbor. The Mackinaw is now a floating museum ship in Mackinaw City, Michigan, but I watched her perform exactly this duty many times as a kid growing up in Duluth (read more about the Mackinaw).